A moisture-rich soothing gel that contains aloe extract from Jeju Island, the Jeju Aloe Fresh Soothing Gel by Faceshop is your utlimate beauty bet. 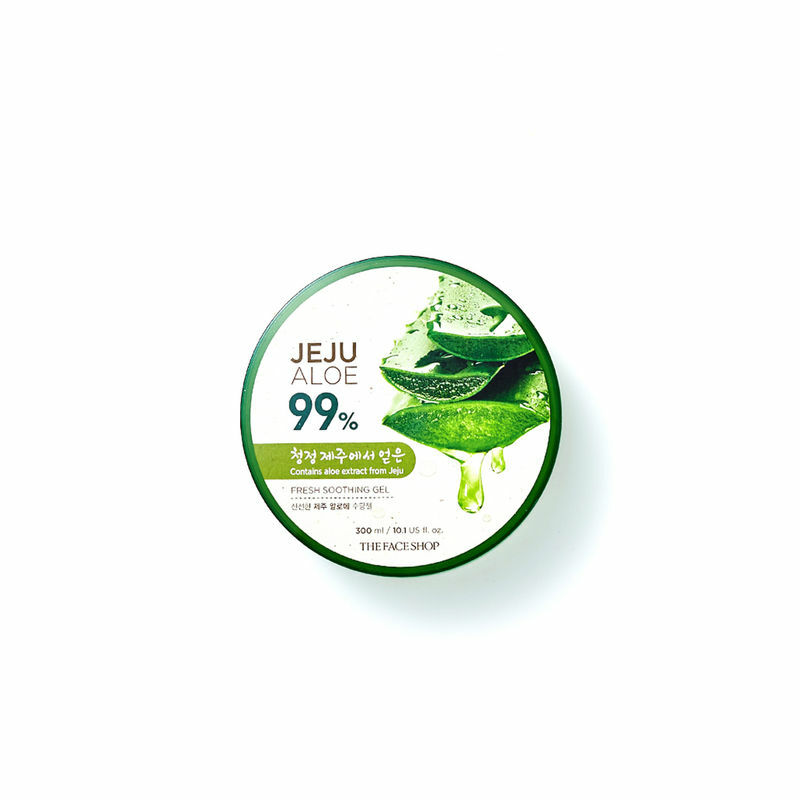 Enriched with the goodness of Aloe barbadensis, this gel from Jeju Island is made of 99% aloe leaf extract and also contains nine ingredients extracted from natural plants. Known for its medicinal properties, aloe moisturizes and softens the skin. It can also be used as a face mask or for after-sun care. Its formula immediately relieves irritated skin after sun exposure.Here's to superb skin ladies! The rich essence if Aloe moisturizes and softens the skin. Additional Information: Beauty treasure for millions around the globe, Faceshop is a South-Korea based skincare line that provides fabulous goodies for your beauty rituals. Ranging affordable high quality products born from botany, this sensational brand believes on creating products that stem from a lovely concept of 'Science meets Beauty'. In a nutshell, Faceshop is your ultimate dream destination to treat your skin to it's best beautiful. Explore the entire range of Lotions & Creams available on Nykaa. Shop more The Face Shop products here.You can browse through the complete world of The Face Shop Lotions & Creams .